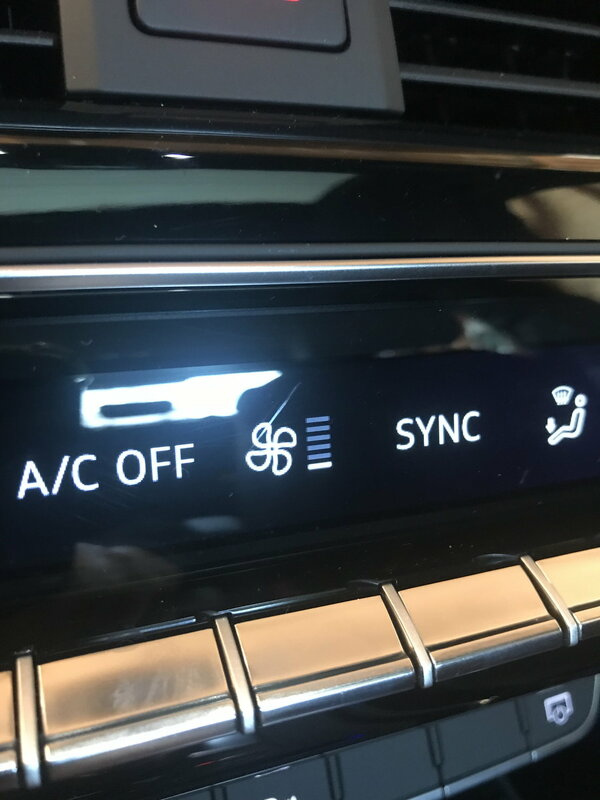 Hi, so I’ve had this issue with a scratch on the climate control screen which came from factory, didn’t notice a few days after, it’s very noticeable in bright daylight. Dealership wont replace it, which I didn’t expect them to, but they don’t seem willing to help. Currently asking to get compensated though. anyone know how I can fix this kind of scratch on our climate control without having to buff it. It’s plastic I think? I wouldn't touch it. It's a tinted plastic - seems to have either an anti-glare coating or additive - and in my experience you will only make it worse, etch the plastic, or create a buffed/hazy spot after trying to remove it or blend it. I had a small scratch on mine that I caused so I bought a plastic smartphone screen protector and cut it to size and put it over the screen. Can't even see it and it protects the screen from further damage. Correct on the above. One thing to try is to see how much it shows if its damp. If the scratch goes away, then it means that reflection of light will hide it. If so, what may work is to actually get a thin film, like what's taped to screens when you purchase new devices, cut a piece, and see if it hides the scratch. If it does, then just cut one that's exactly that size of the screen, and you're good. Just leave it. You will only make it worst. Give it a few more weeks you won't even remember it's there. I'm usually in the crowd of just leaving it, but that scratch looks superficial and there are products out there that you can use. If you absolutely have to take it out or attempt to, test in a very inconspicuous spot using Meguiar's PlastX. Apply using a microfiber towel. That's interesting, I too have a small scratch in the same place, also present upon delivery. In the excitement of delivery I never pursued any resolution from the dealer, but in hindsight wish I had. I'll try to get a picture later but as I recall it looks just like that one. I also have that straight scratch, oriented 7 to 1 o'clock, but mine is to the left of yours centered over the seat icon. Same issue, I didn't notice it until I had the car for a while, I'm just letting that one be. I might bring it up with the dealer at the next scheduled service. Who is this maniac in the factory scratching up our screens? !